Welcome to the official website of The Brothers Glaser! We hope that you enjoy our music. Thank you for visiting. Digital downloads may be purchased here. You can purchase a copy of our CD here. 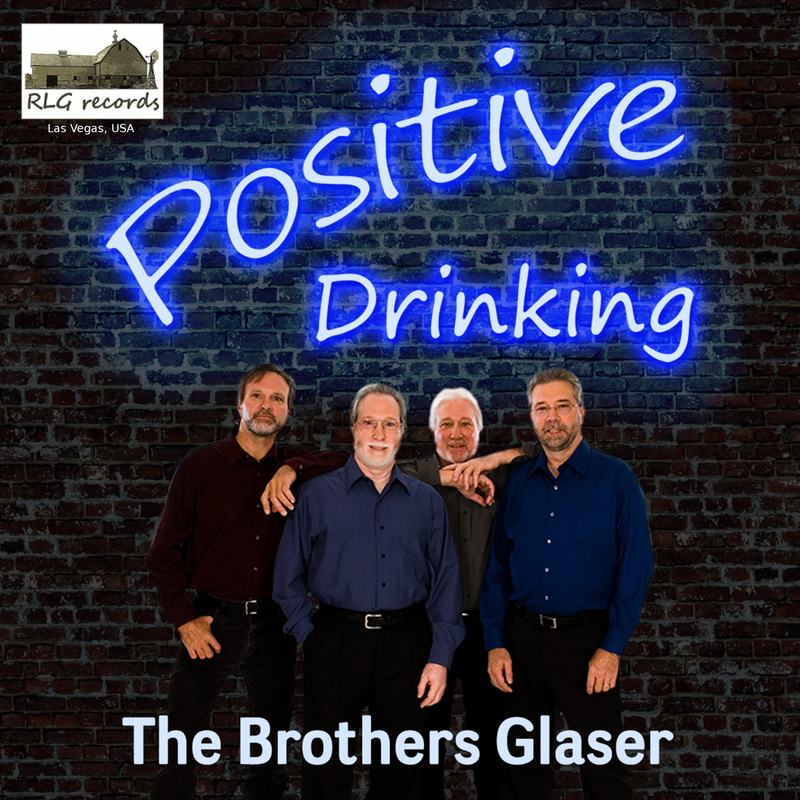 The Brothers Glaser are pleased to announce the release of our new single 'Positive Drinking'. This song is a bit of a departure musically from what we've done before. It's a toe tapping, two stepping raucous anthem to the guy who's had enough of negative thinking and opts for Positive Drinking instead. The song was written by Paul Robert Glaser and Tony Spivey and mixed and mastered by Doyle Grisham. We know you will enjoy it so take a moment and give it a listen. The Brothers Glaser are proud and excited to announce the release of our new single 'Rest Ye Outlaw'. This song was penned by group member Paul Robert. We hope that you will take a moment and listen to our farewell to Tompall Glaser. The Brothers Glaser are saddened by the recent passing of our uncle Thomas Paul (Tompall) Glaser (September 3, 1933 to August 13, 2013). Please read the USA Today article for more information. A special memorial website has been set up honoring Tompall. We ask that you keep Tompall's family in your thoughts and prayers. If you would like to know more about Tompall and his brothers Chuck and Jim, an extremely informative DVD video documentary is available from Newshound Productions. We would like to let our fans and friends know that we plan to release a special "farewell to Tompall" song. Please keep checking your email and facebook for the announcement. The Brothers Glaser would like to wish all of our friends and fans a Happy and Prosperous New Year! Noel Noel Noel Noel, Born is the King of Israel. The Brothers Glaser would like to wish everyone a Merry and Blessed Christmas! We would like to wish all of our fans and friends a very Merry Christmas. To honor the spirit of the season we are announcing a special price on copies of our physical CD ‘Five Penny Nickel’ A Tribute to Tompall & The Glaser Brothers. From now until 12/31/2012 you may purchase a copy for $7.99 plus shipping and handling. As always, thanks for your continued support. The final song on our album is the title Five Penny Nickel. Tompall & Chuck Glaser wrote this and it was the very first single released by the Glaser Brothers on Robbins Records in 1958. Marty Robbins allegedly created Robbins Records as a vehicle for recording The Glaser Brothers and Mr. Robbins was responsible for discovering and helping to launch the career of Tompall & The Glaser Brothers. We have made a complete departure from the original with our version of this song. Gary D is singing the lead, David is singing the low part, Paul Robert is doing the high and Joel is doing the really high part. All four of us are mixed up in there doing the background vocals as well. We are extremely proud of how the title song on the CD turned out. We have a different take and arrangement on this song. David is doing the honor with the lead vocal, Joel is doing the low harmony and Paul Robert is doing the high parts. You can also hear Dave do a bass part during the ending. We are thrilled with the way this one turned out. Next on our CD is Home’s Where The Hurt Is. Arthur Owens penned this one and The Glaser Brothers recording of it was part of the 1968 MGM album called The Wonderful World Of The Glaser Brothers, and also on the album …Tick…Tick…Tick the MGM movie sound track from 1970. We do a slightly different take of the song. Paul Robert sings the lead with Joel doing the third high harmony, David singing the low part and Gary D adding the fifth high harmony. This is a great country balled which we are extremely proud of. Our next song on the CD ‘Five Penny Nickel’ is Gonna Miss Me. Bill Irwin wrote the song and The Glaser Brothers released it on their 1967 MGM album titled simply Tompall & The Glaser Brothers. It was again included on the Now Country album in 1969. It was on the flip side of the single release of Walk Unashamed in 1970 that spent five weeks on Billboard’s country charts, peaking at #30. Our version is slightly different, but it remains true to the vocal style that the Glaser Brothers gave it. On our arrangement Gary D is on the lead vocal, Joel is on the third high harmony, David is doing the low part and Paul Robert is singing the fifth high harmony. This has always been one of our favorite Glaser Brothers songs. The next song on the CD is California Girl. Jack Clement wrote this song. The Glaser Brothers released California Girl as a single in 1969; it spent ten weeks on the Billboard country charts peaking at #11. It was also included on two of their MGM albums, first on 1969’s Now Country and again on the MGM movie sound track album …Tick…Tick…Tick in 1970. Our version is again different from the Glaser brothers. It has a more rock and roll feel and we think you are going to love it. Paul Robert is singing the lead vocal, Gary D is singing the melody unison, David is singing the low harmony and Joel is singing the high harmony. Hey there friends, we would like to remind you once again that our CD ‘Five Penny Nickel a Tribute to Tompall & the Glaser Brothers’ has officially been released. Right now, we would like to continue introducing each of the songs on the album to you. Next up is a song we have titled simply Medley. It contains shortened versions of three songs written by Tompall and Jim Glaser. The songs are Let Me Down Easy written by Tompall & Jim Glaser, A Girl Like You and Words Come Easy both written by Tompall Glaser. Let Me Down Easy was released by The Glaser Brothers as a single in 1962 and was included on their Decca Records album Country Folks. A Girl Like You was release as a single in 1964 on Decca Records and included on the 1972 MGM Album Tompall & The Glaser Brothers Greatest Hits. Words Come Easy was released as a single in 1962 on Decca Records. Our arrangements have a different flare in that we feature three different lead vocalists. Gary D does lead vocal on Let Me Down Easy, Joel has the lead vocal on A Girl Like You and David is singing lead vocal on Words Come Easy. Paul Robert does the high harmony on all three songs and David is doing the low harmony on all the songs as well. We are very proud of how this ‘Medley’ turned out. The next song is Where Has All The Love Gone, written by Chuck Glaser. The Glaser Brothers first released this on the flip side of the single One Of These Days in 1968, which spent four weeks on Billboards country charts peaking at #36. Where Has All The Love Gone was also released on two different albums, first on their MGM album titled Through The Eyes Of Love in 1968 and again on the MGM movie sound track album …Tick…Tick…Tick in 1970. Our arrangement is quite a bit different from theirs, and we are proud that the songs writer, Chuck Glaser, liked what we had done. Gary D is singing the lead vocal, Paul Robert sings the third high harmony, Joel sings the fifth high harmony and David sings the low harmony. All four of us are doing various background vocals as well. We are very pleased with how this song turned out and we hope you will like it too. Our next song from the CD ‘Five Penny Nickel’ is Tryin’ To Outrun The Wind. Troy Seals, Eddie Setser and Tom E Davey wrote this wonderful ballad. The Glaser Brothers first released this song on the flip side of their single Sweet City Woman, which spent three weeks on Billboards country charts in 1980, peaking at #34. Tryin’ To Outrun The Wind was included on their Elektra Album titled Lovin’ Her Was Easier in 1981. Waylon Jennings and Willie Nelson also recorded it. The Brothers Glaser recording of this song is featuring Joel singing the lead vocal with Paul Robert singing high harmony and David singing the low harmony. This has always been one of our favorites and we are very happy with our recording. The next song on our album is I Still Love You (after all these years). This song was written by Mickey Newbury and the Glaser Brothers recorded it in 1982 and released it as a single. It spent five weeks on the Billboard country charts peaking at #28. It was included on the 1982 Elektra album titled After All These Years. Our version of this beautiful love song features David on the lead vocals, Paul Robert is singing the high harmony and Gary D is singing the low harmony. We think our arrangement of this song turned out beautifully. Next up on our CD ‘Five Penny Nickel’ is I’ll Never Tell. John D Loudermilk is the writer of this song. The Glaser Brothers version, released as a single in 1961, was also included on the Decca Records Country Folks album in 1962. Roy Orbison also recorded it. The Brothers Glaser version incorporates four part harmony, with Gary D singing the lead part, Joel singing the third high harmony, Paul Robert singing the fifth high harmony and David doing the bass harmony part. Our rendition has brought a fresh feel to the song. The next song on our CD is Mr. Lonesome. Tompall Glaser wrote the song and it was first recorded and released by the Glaser Brothers on their Decca Records album Country Folks in 1962, and then released as a single in 1963. Johnny Cash’s version is included on his ‘Man in Black’ album. Our version is vastly different from the Glaser Brothers. Paul Robert is singing the lead vocal and the high harmonies, David is doing the low harmonies and Gary D is doing the background melody vocals. We really liked the way this song turned out. Fresh off the release of our CD ‘Five Penny Nickel’ we would now like to take the time to introduce the history of each song on the album to you, and what parts vocally we are doing on them. We will begin with ‘Lovin’ Her Was Easier’. Kris Kristofferson wrote and recorded the song in the early 1970’s. 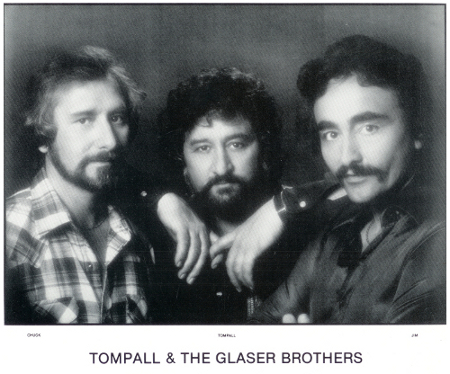 Tompall & the Glaser Brothers released their version in mid 1981 as a single. It spent sixteen weeks on the billboard country charts and peaked at #2, holding that position for two weeks. It was also the title track of their 1981 reunion album Lovin’ Her Was Easier on Elektra Records. Our version is pretty much a copy of the Glaser Brothers because we have always felt theirs is the best arrangement of the song ever recorded. Gary D is singing the lead, Paul Robert is singing the high harmony and David is singing the low harmony. We are very proud to include this song on our album. We would like to say hello again to all our friends and fans and officially announce the long awaited release of our CD ‘Five Penny Nickel’ a Tribute to Tompall & the Glaser Brothers. We are extremely excited about how this entire album has turned out. It has been a labor of love and sacrifice for the past several years, even wondering sometimes if we would ever get the project finished. We feel you will discover as you listen to the CD that we tried to pay tribute to our uncles for their influence on our musical lives and careers while flexing our own creative muscle in our versions of the songs they had recorded. We know you will enjoy our CD ‘Five Penny Nickel’ a Tribute to Tompall & the Glaser Brothers as much as we did creating it. Hi again you all. Our next and final featured musician is Keyboard Player Ric Ulsky. Ric has worked and toured with many artists including The Association, Stevie Wonder and Chuck Berry. He is currently doing studio work and playing the many Blues Clubs in Las Vegas. We would also like to remind you that the release of our CD; Five Penny Nickel “A Tribute to Tompall & The Glaser Brothers” is scheduled for June 2012. More information coming soon!! Hello again everyone. Next we would like to introduce you to Keyboard Player John Mattick. John played the keyboard for Alabama for ten years. He has also worked with The Righteous Brothers, Olivia Newton John, David Lee Murphy, John Michael Montgomery and many others. He is currently doing studio and production work in his Nashville studio. Hi everyone, once again with the tentative release of our CD; Five Penny Nickel “A Tribute to Tompall & The Glaser Brothers” set for the end of March/first of April 2012 we are continuing to introduce you to some of the musicians who have been part of this project. Our next musician introduction is Banjo Player Keith Sewell. Hello again everyone, next we would like to introduce you to Electric Guitar Player James ‘Rooster’ Olson. James worked in Nashville from 1993 to 2005 and during that time he toured and recorded with many artists including Mark Chesnutt, Chely Wright, Ty Herndon, George Strait, Vince Gill, Tim McGraw, Randy Travis, Martina McBride, Alan Jackson, Lorrie Morgan and Ricky Scaggs among others. He currently lives in Denver selling custom made pedal boards through his company ‘Trailer Trash Pedalboards’. He continues doing studio session work and playing live. Hi again you all. Our next featured musician is Electric Guitar Player Fab Tranzer. Fab is originally from Alsace, France. In the 90’s he played and recorded all over Europe with the likes of Wanda Jackson and Charlie McCoy. In 2004 he moved to Mississippi, USA and spent three years playing blues with and for the locals as well as doing studio work in Nashville. He is currently living in New York doing lots of recording session work. Hi everyone, once again with the tentative release of our CD; Five Penny Nickel “A Tribute to Tompall & The Glaser Brothers” set for the end of March/first of April 2012 we are continuing to introduce you to some of the musicians who have been part of this project. Our next musician introduction is the multi talented Larry Hanson. Hi again you all. Next we would like to introduce you to Trumpet Player Scotty Huff. Scotty toured with The Mavericks and Keith Urban for many years and now has his own music production and arrangement company in Nashville. Among the artists Scotty has worked with are Amanda Wilkinson, Jamie O'Neal, hit songwriter Rachel Proctor, and most recently recording artist Jake Owen. Hello again everyone. Our next featured musician is Fiddle Player Jenee’ Fleenor. Jenee' has toured with Terri Clark, Martina McBride and is currently touring with Blake Shelton. Jenee’ has played the Grand Ol' Opry countless times, and has made numerous television appearances, including Good Morning America, Dancing With The Stars, CMT Crossroads, and NASCAR and Superbowl concerts. 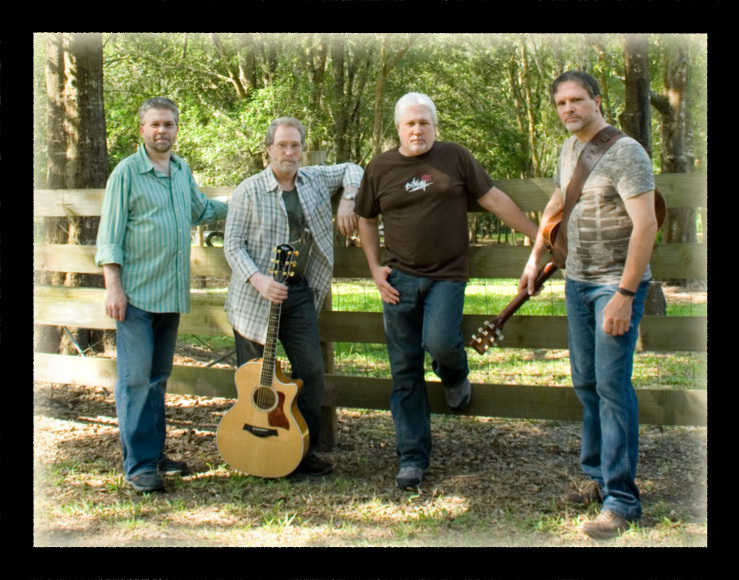 Hi everyone, once again with the tentative release of our CD; Five Penny Nickel "A Tribute to Tompall & The Glaser Brothers” set for the end of March 2012 we are continuing to introduce you to some of the musicians who have been part of this project. Up next is another Bass Player, Duncan Mullins. Duncan has been in the music business since 1981 and has toured with Jerry Reed, Crystal Gayle and Amy Grant. He now works full time doing studio recording in the Nashville area. Hi again you all. Next we would like to introduce you to Bass Player Franck Bedez. Franck lives in France. He records and tours throughout Europe. We made our connection with him through an online musician’s site formally called ioverdubs.com. Franck is an excellent musician and fluent in many genres. Hi everyone, our next musician introduction is Tommy Detamore. Tommy is a producer, engineer and steel guitarist with Cherry Ridge Studios just outside of San Antonio, TX. With the tentative release of our CD “A Tribute to Tompall & The Glaser Brothers” set for the end of March 2012 we would like to take the time over the next several weeks to introduce all of you to some of the musicians who have been part of this project. We are lucky to have had some very talented folks work with us and their contributions have helped to make this album what it is. So let’s begin by introducing you to Doyle Grisham. Doyle plays the Steel Guitar and was part of Tompall & the Glaser Brothers’ Nashville Studio Band from 1970 through 1974. He has played on Jimmy Buffett’s albums for 25 years and has been touring with him since 1999. Throughout his career Doyle has recorded with many successful artists including Lynn Anderson, Bill Anderson, Kenny Rogers and The First Edition, George Jones, Reba McEntire, England Dan & John Ford Coley and Randy Travis just to name a few. The Brothers Glaser have learned that Newshound Productions is projecting a mid 2012 release of a new documentary on the musical careers of Tompall & The Glaser Brothers. View a excerpt from the upcoming video HERE. HASTINGS — Two family country music groups from Spalding will be honored by the Nebraska Country Music Foundation on Saturday. Two generations of Glasers, Tompall & The Glaser Brothers and their nephews, The Brothers Glaser, will be inducted into the Nebraska Country Music Foundation Hall of Fame at 7 p.m. Saturday at the Adams County Fairgrounds in Hastings. Paul Robert Glaser, a member of the younger Brothers Glaser, said they were honored and humbled. Both brother groups grew up in Spalding in Greeley County, but Paul Robert Glaser said that although family members still live in the area, most of the band members are scattered around the country. Tompall & The Glaser Brothers, Tompall, Chuck and Jim Glaser, began their career in the 1950s, performing around Central Nebraska. The brothers moved to Nashville in 1959 and toured with country greats Marty Robbins, Johnny Cash and Patsy Cline, among others. The Glaser Brothers scored numerous hits from the 1960s through the 1980s and became members of the Grand Ole Opry in 1963. Tompall, Chuck and Jim Glaser are now mostly retired. The Brothers Glaser, including Paul Robert, Gary D, David and Joel Glaser, are four of the 13 children of Tompall, Chuck and Jim Glaser’s older brother, Robert. They grew up listening to their famous uncles’ music. Paul Robert Glaser said their father encouraged their talents, taking them to talent shows starting when Paul Robert was in junior high. As teenagers, the nephews formed their own group, performing in the mid-1960s around Central Nebraska and toured the Midwest in the 1970s. Under the names The Second Generation, Genesis IV and The Glaser Brothers Band, the younger Glasers performed at many high school functions, in clubs and on the hotel circuit until the early 1980s. The brothers did their first recording session in 1976 with Mario “Doc” Dantes, founder of the Nebraska Country Music Foundation. Paul Robert Glaser said they didn't sing much with their famous uncles, but they have gotten advice from time to time. Paul Robert Glaser said the project has been challenging because the four brothers now live in different states. As a thank-you to the Nebraska Country Music Foundation, the brothers produced a special-edition, extra-play CD of selections from their upcoming release. Joel Glaser plans to hand out copies of it after the ceremony. The Nebraska Country Music Foundation will hold the Hall of Fame ceremony as the finale of its 31st Annual Festival, “Lovin’ Country” 2011. The week long festival features song writing and performing competitions. The Nebraska Country Music Foundation (NCMF) Board of Directors has informed The Brothers Glaser that they have been nominated to be inducted into the Nebraska Country Music Hall of Fame! 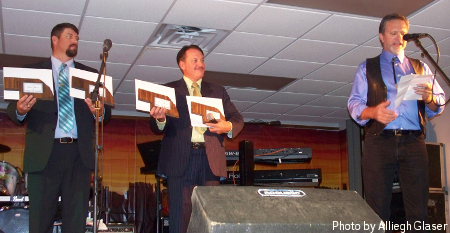 The induction is set for October 15, 2011 in Hastings, Nebraska. The Brothers Glaser were contacted by the president of the NCMF, Deb Shaw, who said that the organization was honored to have The Brothers Glaser as members of the Hall of Fame. For submitting our name for consideration, The Brothers Glaser would like to thank Chris Nielsen and all the board members of the NCMF for this very special honor! For more information about this event see the NCMF website. If you'd like to receive regular E-mail Updates with information about what we are currently doing and other news. Sign up here. If you would like more info about us. Click here. 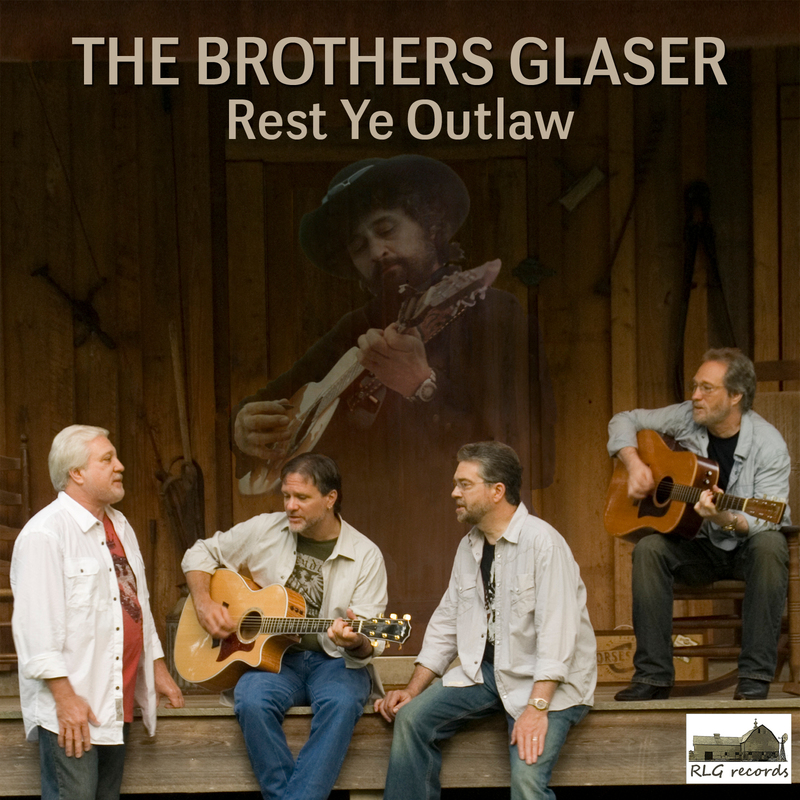 Please stop in at our page and request to be a friend and fan of The Brothers Glaser.